An environmental group in Hong Kong has gone high-tech in its fight against street littering. It actually collects human DNA from rubbish to recreate the faces of those who left it, believing that public shaming will do a better job than government fines. In a campaign of “putting a face behind the crime,” the group collects cigarette butts, chewing gum and carton cups and makes composite pictures. The genetic material from these things then goes to a laboratory, where scientists use it to predict ethnicity and face shape, as well as eye and hair color from the samples. 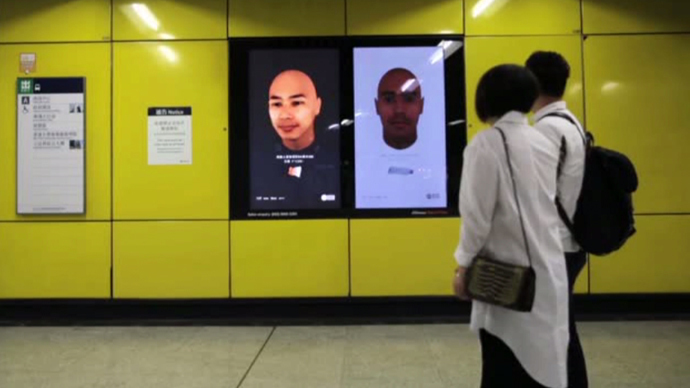 Then, the posters with the faces recreated in a lab are hung across Hong Kong with “most wanted” inscriptions. So far, there have been 27 posters with the faces of the alleged litterbugs. The co-founder of the project called “The Face of Litter,” Nissa Marion, told RT about the idea. “It was wonderful to use such new and innovative technology to promote a message that’s quite important for this region. The campaign is intended to provoke thought, discussion our waste habits, [on] littering, but also just [on] how much we throw away and what we consume on the daily basis,” she said. “That’s great for people to be talking about things like that, it just brings more attention to the issue.…The campaign is to provoke thought, but at this time, it’s not an actual litter-stopping measure,” Marion added. The fixed penalty for littering in Hong Kong is HK$1,500 (about $200). Last year, almost 4,000 tons of rubbish was collected during a six-week clean-up challenge. 16,000 tonnes of rubbish is dumped in Hong Kong daily, the government estimates.